At ClaimVantage security and compliance are paramount. We offer a range of secure, cloud-based products, built on the Salesforce platform, which are hosted in ISO 27001 and SAS70 Type II compliant data centers. The SOC Type 2 reports cover controls around security, availability, and confidentiality of customer data. Baker Newman Noyes has audited ClaimVantage and has granted the organization with a SOC 2 certificate. The ClaimVantage software solutions are built on the Lightning Platform, and we are a gold ISV Salesforce partner. This platform allows us to provide you with software that is regularly updated, flexible to integrate with third-party applications, and scalable to support your company’s growth. Salesforce is committed to achieving and maintaining the trust of their customers. Integral to its mission is to provide a robust security and privacy programme that carefully considers data protection matters across their its of services, including data submitted by customers to its services (“Customer Data”). Salesforce has heavily invested in the security and resilience of its infrastructure. 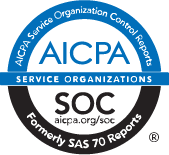 Its data centre operations have received ISO 27001 and SAS70 Type II audit attestations. Salesforce.com is a certified licensee of the TRUSTe Web Privacy Seal, a certified licensee of the TRUSTe EU Safe Harbor Seal and abides by the EU Safe Harbor Framework. It has detailed network and physical security mechanism in place. To learn more about Salesforce’s security and compliance click here. Each customer is accountable to ensure their business processes and claimant communications meet state requirements such as Solvency II for claim management. Using our self-service workflow functionality, our customers can create specific workflows, tasks and communications selecting the timing and event triggers to help ensure your business rules and processes align with state requirements such as Solvency II.